I recently discovered Brennan Manning, and have not read all his books. Even if I had, I doubt I could have grasped all the deep truths contained in them in just one reading. 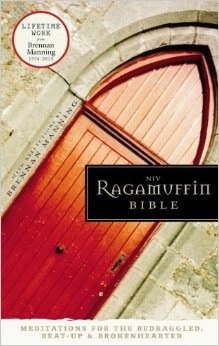 When I was given the chance to review NIV Ragamuffin Bible: Meditations for the Bedraggled, Beat-Up, and Brokenhearted I was excited because I have enjoyed the Manning works I have read. I was disappointed, though, that the Bible was in the NIV translation, which is not one of my favorites. I wish it came in other translations, but I knew the version from the outset, so I can't be too disappointed with that. The quality of the Bible is good. 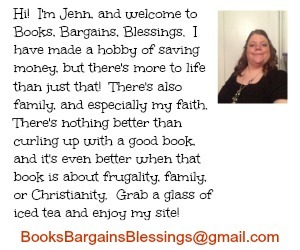 It's a hardcover which should last for years even with heavy use. The print size is the right size, and physically the only downside is because it is hardcover, it is a tad heavy. I'm not sure about the cover saying "Lifetime work of Brennan Manning". While I understand the concept, when the majority of the text in this book is the Bible, I would think a different blurb might be more appropriate. That said, this Bible includes 104 devotions, 250 reflections, and 150 quotes. These are good, and while I didn't read all of them (I read several books of the Bible to write this review, did not read the entire Bible cover to cover.) The ones I read were very good and nuggets to savor. An example of one of these is from page 693 "How would you respond if I asked you this question: Do you honestly believe God likes you, not just loves you because theologically God has to love you?" Another thing I will say is there seems to be fewer of Manning's writings sprinkled in certain parts of the Bible. While I understand that it is difficult posthumously to find writings that fit some of the portions of the Bible that most of us tend to skip over, if you would decide to read through the entire Bible, you wouldn't get nearly as many devotions in those sections of Scripture as you would in the Gospels. Overall, I think I would really enjoy this as a devotional Bible if I enjoyed the New International Version a bit more, but it's still a Bible I will use on occasion.